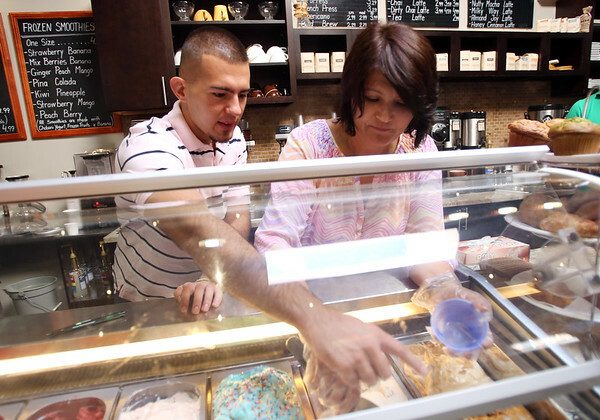 Albana Meta, right, owner of Gusto Cafe in Beverly, scoops a cup of gelato as her son Clay, who makes all the gelato, points to the right combination of flavors. DAVID LE/Staff photo. 8/28/14.